Read the reviews on Fragrantica that Dalal by Al Rehab was similar to Ginestet Botrytis so I jumped at the chance to try it and wasn't let down. Not only is it very smiliar, it is even longer lasting. My skin tends to eat fragrance but not with this. A spray or two is all you need for the entire day and is a nice, sweet, orange/vanilla fruity scent. Perfect for spring or summer or anytime wear. And the best part is it's very affordable! Thanks Al-Rehab. Would happily do business again with Al-Rashad Books and Gifts. The website was easy to go through, shipping was speedy and products were affordable and as described. This fragrance, in both the oil and the spray, is very soft and sweet. 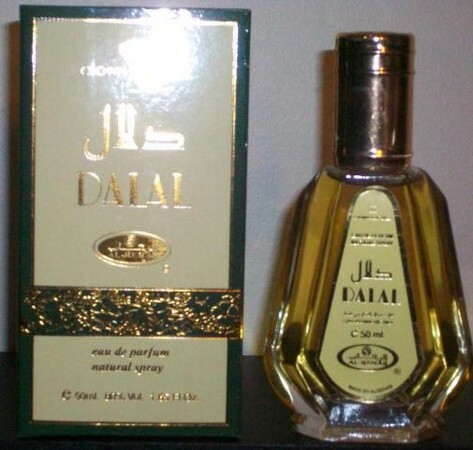 Al-Rehab describes it as "Lighter fruity sweet floral with Jasmine and Vanilla." It's lovely. I think the spray is stronger than the oil, probably lasts longer. But you can keep that attar oil in your purse for touch-ups if need be. Fast delivery, and perfect product :) Very happy with the purchase. Definitely will order again. Great Product. Recommend to everyone!